Now that Fyre Festival co-founder Billy McFarland is charged with fraud, this is the perfect time to list off those top 15 influencers who promoted tickets to the disastrous event to their loyal followers, right? Maybe. It would be good to know for the future, and also as a warning, as to what kind of FTC wrath is going to soon consume IG influencers. ... So this is a list of all those Instagram influencers who promoted the Fyre Festival on social media but failed to disclose that they were getting paid to post about it. Thus, bringing quite the FTC storm down on this very fyery IG parade. According to a leaked Fyre pitch deck obtained by Vanity Fair, all of the stars who promoted the festival on their Instagram accounts did so without the standard FTC #ad mention. This led followers to believe that Fyre was a genuine event that the supermodels attended every year, not a paid celebrity endorsement. Instead, fans who actually paid the $5,000–$250,000 price tag for the ticket and flew to the Bahamas for the event wound up on an empty, soggy ground with nothing but a bunch of vacant tents and a small table serving soft drinks and sandwiches. It was because of Fyre Festival and its huge failure that the FTC and Instagram are now cracking down on celebrities that fail to mention a sponsored post. So here's our lineup of the 15 celebrities who promoted Fyre Festival but then failed to play by the FTC's rules. 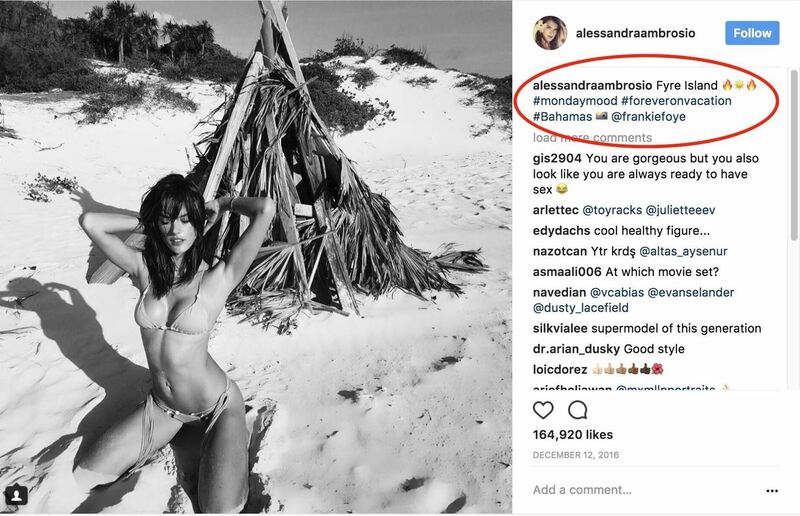 In November 2016, a gang of supermodels flew to the Bahamas courtesy of Fyre and started posting pictures of themselves on "Fyre Island." At the time, no one knew what #fyrefestival meant, but interest for the mystery event started to generate. Alessandra Ambrosio posted shots of herself on the island, but nowhere in her post's caption did she disclose that she was asked to promote the festival and might be getting paid, according to Page Six, upwards of $20,000 to hype up the event. 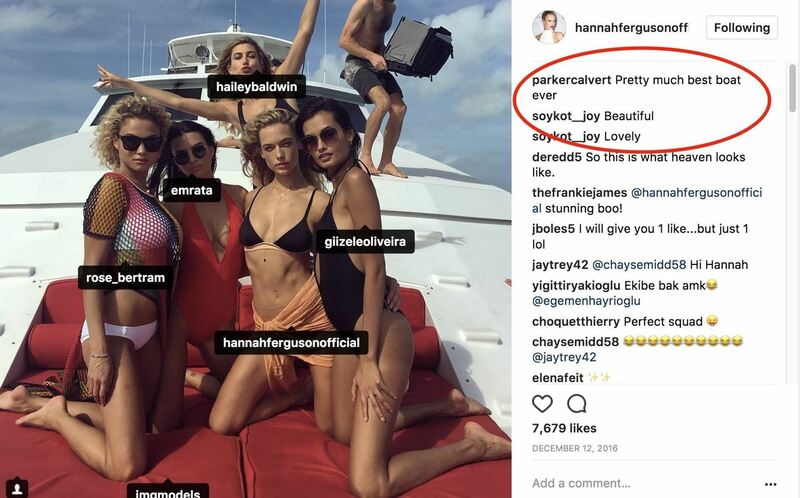 Baldwin, who once dated the infamous Justin Bieber and hates being called an "Insta model," also promoted Fyre Festival on her Instagram account according to the pitch deck with the other stars from Great Exuma Island in the Bahamas prior to the event's start date in April. Baldwin may have deleted the post's original caption where she did not disclose that she was paid to visit the festival grounds and promote it to her 8.6 million followers. The current screenshot and caption is what remains on her Instagram account. This Belgian model was also invited by Fyre along to the island with all the other Instagram celebrities to hype up the festival grounds. It also looks like she deleted her comment on Instagram where she might've mentioned the festival without proper disclosure since currently, there is no caption on the still live post. The Sports Illustrated beauty was another celeb to post shots of herself and the girls on a boat in the Bahamas but never mentioned to her 400 thousand followers that she might've received over $20,000 from Fyre per post, according to Page Six. It also looks like Ferguson deleted any mention of Fyre Island since there is no caption on her still live Instagram post. 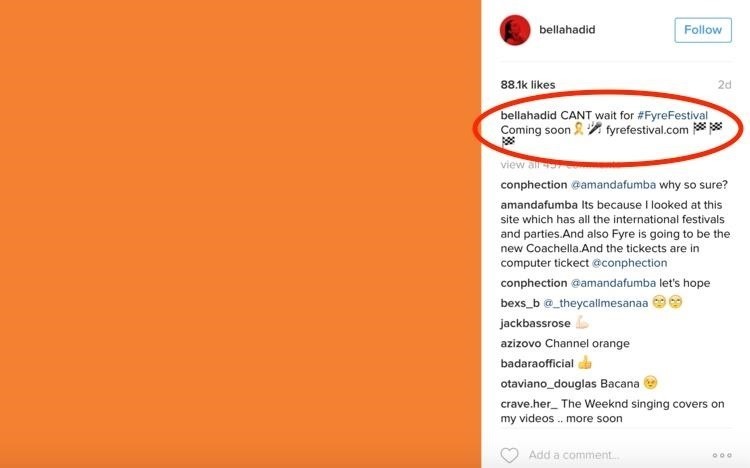 Bella Hadid promoted Fyre Festival on her Instagram account but did not disclose that she was doing a promotion. The orange square symbolized #fyre and was a reference to the event to come. Hadid eventually deleted this post. The screenshot of Hadid's Instagram was captured by Fashion Law. 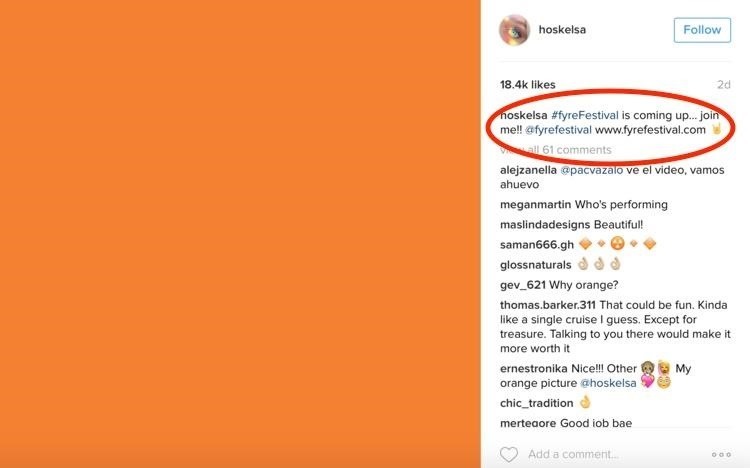 Elsa Hosk also posted the infamous orange square for Fyre Festival but did not put the FTC's #ad mention for a promotion. It looks like Hosk took Hadid's initiative and deleted evidence of her Fyre post as well. The current screenshot of her Instagram was also recorded by Fashion Law. The star posted a video of her and the other models checking out Fyre Island. Iman did not disclose that she was doing an ad. 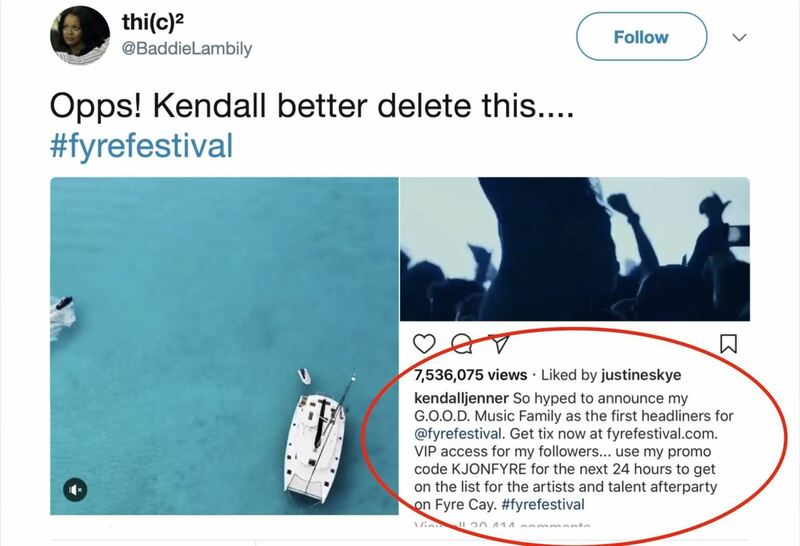 Kendall Jenner did not disclose as per FTC rules that she was getting paid $250,000 to hype up Fyre Festival to her fans. Jenner has deleted all social media posts mentioning Fyre. The current screenshot of Jenner's Instagram account was captured by Baddie Lambily on Twitter. 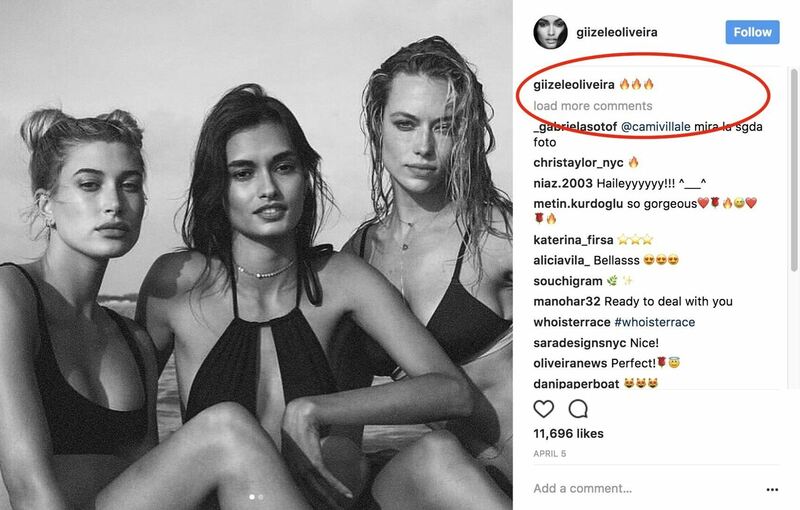 Oliveira posted a photo on Instagram promoting the festival with three emojis of fire, which may indicate #fyre, since she is posing with other models from the event, such as Ferguson. The original caption where Oliveira did not disclose an ad for Fyre and that she was getting paid to post for the festival, may have been deleted. 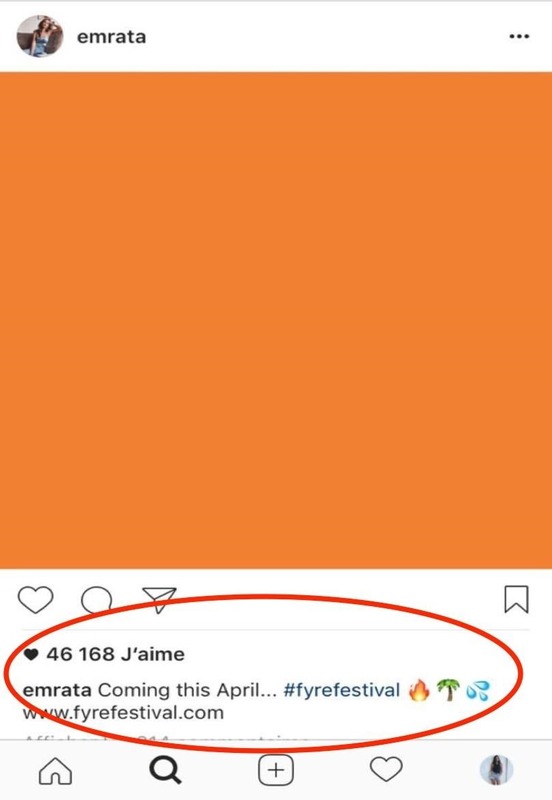 Emily Ratajkowski also posted the orange square promoting the festival, but did not disclose she was getting paid to hype it up. Ratajkowski has deleted this ad from her Instagram account. The captured screenshot was recorded by Megane Belhassan. Lais Ribeiro was also invited by Fyre to check out the island and promote the festival to her followers. 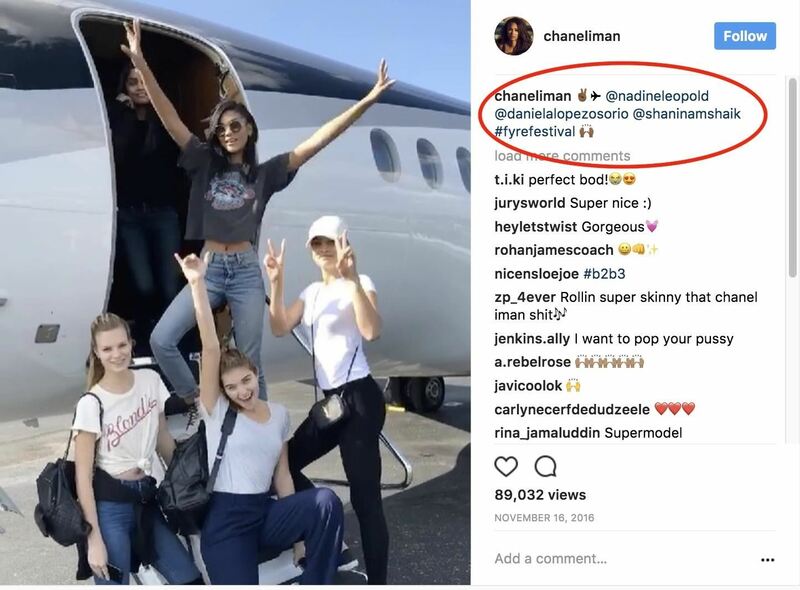 She posted a shot of her and Hadid on Fyre Island, although she may have deleted her original caption where she did not disclose that her posts were ads with an #ad mention. 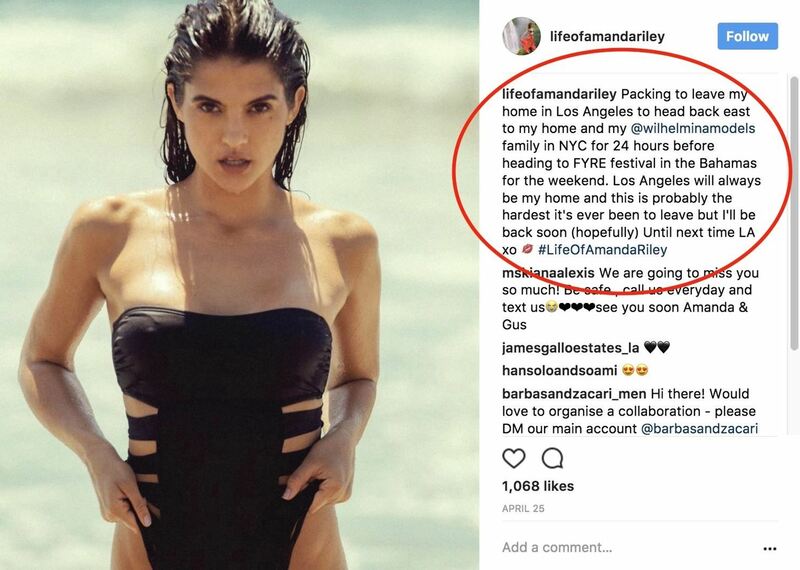 Amanda Riley posted about Fyre Festival on her Instagram. She did not disclose she was doing an ad. 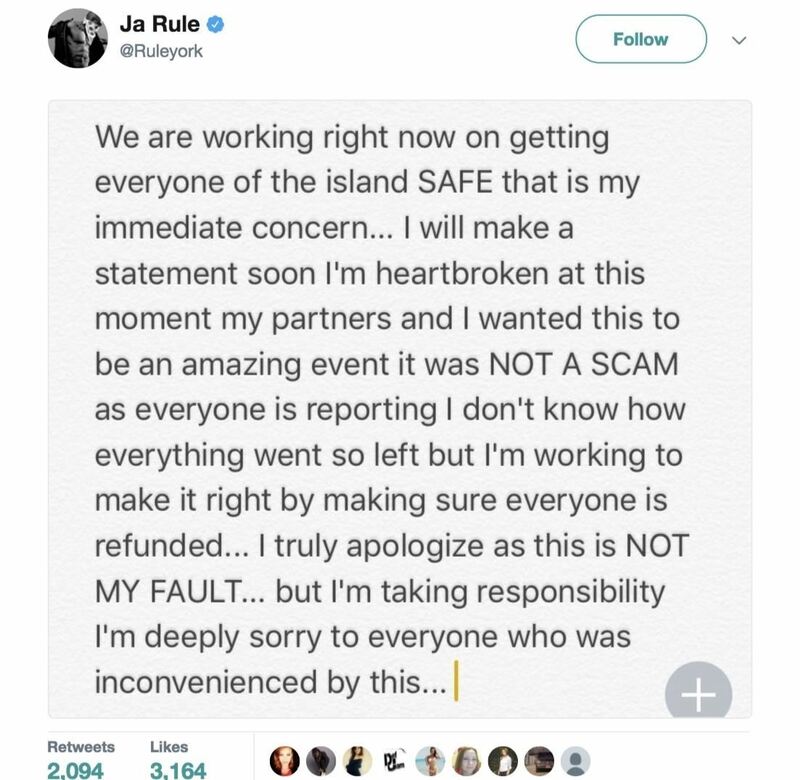 Ja Rule, one of the co-founders of the event, released a long apology ensuring fans that just because none of the celebrities or artists showed up, that the event was never meant to be a scam. Ja Rule has deleted any evidence of him promoting the festival, but only left this Tweet. 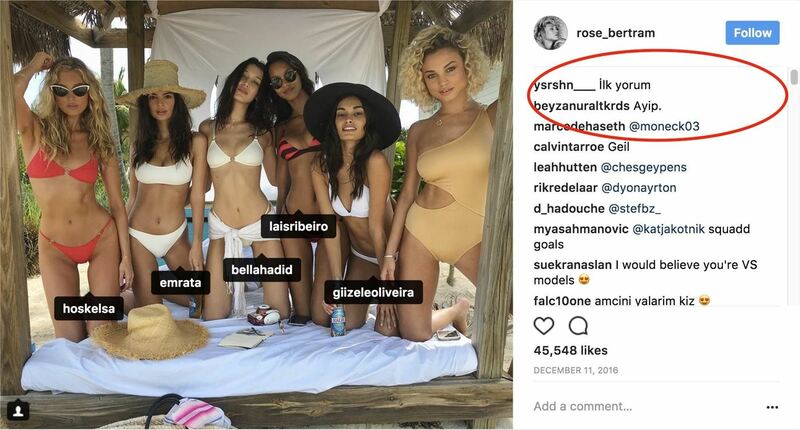 Shanina Shaik, pictured on the island with other models, was also paid by Fyre to post about the event on her Instagram. She also may have deleted the original caption with mention of Fyre. The last of our 15 celebrities who promoted Fyre Festival to their followers, Vega joined the lineup of influencers who believed the event was one not to be missed but never disclosed that she might be getting paid to say just that. Vega looks to have deleted any mention or post of her ties to Fyre. Know of any other celebrities who were involved in the Fyre Festival incident? Drop us your tips in the comments below! Follow me on Instagram @b3t.tina to see how I'm using current Gadget Hacks IG 101 tips and tricks to boost my own account.